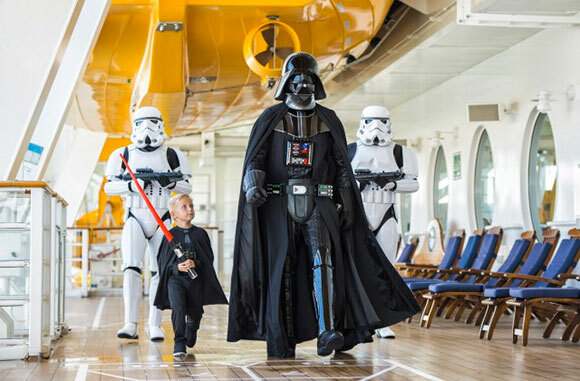 Disney Cruise Line will be having Star Wars for one day at sea with special events onboard the Disney Fantasy. Occurring on one day during each of the eight sailings to the Western Caribbean, there will be Star Wars-themed youth activities, special merchandise, unique food and beverage offerings and the ship will host at-sea screenings of the Star Wars films and the new Disney XD animated series, Star Wars Rebels on Disney Fantasy in 2016.
and Disney’s private island in the Bahamas, Castaway Cay. For more information, contact Cruiser’s Travel LLC at elaine@cruiserstravel.net or 941-979-9798.